This 2019 Metris' features include: Convenience Package, Reversing Camera, Full Partition, 135" Wheel Base, Roof Rails, Towing Cross-Member, Blind Spot Assist, Two Additional Master Keys, Multifunction Steering Wheel, Cruise Control, Centre Console Storage Compartment, Black Painted Steel Wheels, and much more! _________________________________________________________________________________ Discover just how much more you're capable of with the van engineered for smarter transportation. Endearingly nicknamed the “Baby Sprinter”, the 2019 Mercedes-Benz Metris Cargo Van is well equipped with numerous Best in Class options and a low Total Cost of Ownership, this Sprinter is the vehicle that will not only be the best to drive, but will save you money. _________________________________________________________________________________ Three Point Motors Victoria is your authorized Mercedes-Benz and Smart dealer for Southern Vancouver Island, home to the most captivating automobiles on the market. Whether you are searching for a New or Pre-Owned vehicle or wanting to get your current vehicle serviced, we pride ourselves in outstanding customer service and exceptional experiences. We will offer you the best finance and least rates, a complimentary car wash once a month, Mercedes-Benz performance driving events, and a bright and comfortable customer lounge with gourmet espresso, tea, baked goods, and WIFI. Our motto is "The Best or Nothing" and we strive to perfect every aspect of ownership with your Mercedes-Benz or smart car. This 2019 Metris' features include: Convenience Package, Safety Package, COllision Prevention Assist, Reversing Camera, Full Partition, 135" Wheel Base, Roof Rails, Towing Cross-Member, Blind Spot Assist, Two Additional Master Keys, Multifunction Steering Wheel, Cruise Control, Centre Console Storage Compartment, Black Painted Steel Wheels, and much more! _________________________________________________________________________________ Discover just how much more you're capable of with the van engineered for smarter transportation. Endearingly nicknamed the “Baby Sprinter”, the 2019 Mercedes-Benz Metris Cargo Van is well equipped with numerous Best in Class options and a low Total Cost of Ownership, this Sprinter is the vehicle that will not only be the best to drive, but will save you money. 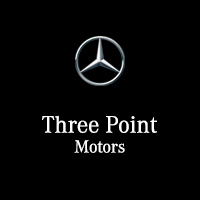 _________________________________________________________________________________ Three Point Motors Victoria is your authorized Mercedes-Benz and Smart dealer for Southern Vancouver Island, home to the most captivating automobiles on the market. Whether you are searching for a New or Pre-Owned vehicle or wanting to get your current vehicle serviced, we pride ourselves in outstanding customer service and exceptional experiences. We will offer you the best finance and least rates, a complimentary car wash once a month, Mercedes-Benz performance driving events, and a bright and comfortable customer lounge with gourmet espresso, tea, baked goods, and WIFI. Our motto is "The Best or Nothing" and we strive to perfect every aspect of ownership with your Mercedes-Benz or smart car. This 2018 Metris' features include: Cold Weather, Comfort Seat and Luxury Interior Packages, Six Passenger Seats, Reverse Camera, Blind Spot Assist, Navigation, Roof Rails, Deluxe Appearance Package, Luxury Interior Package, Driving Assistance Package, Tow Hitch Mount, Comfort Suspension, Power Sliding Driver's Side Door, 7-Speed Transmission, Lighted Footwells, and much more! _________________________________________________________________________________ Discover just how much more you're capable of with the van engineered for smarter transportation. Endearingly nicknamed the “Baby Sprinter”, the 2018 Mercedes-Benz Metris Passenger Van is well equipped with numerous Best in Class options. With a low Total Cost of Ownership, this Sprinter is the vehicle that will not only be the best to drive, but will save you money. _________________________________________________________________________________ Three Point Motors Victoria is your authorized Mercedes-Benz and Smart dealer for Southern Vancouver Island, home to the most captivating automobiles on the market. Whether you are searching for a New or Pre-Owned vehicle or wanting to get your current vehicle serviced, we pride ourselves in outstanding customer service and exceptional experiences. We will offer you the best finance and least rates, a complimentary car wash once a month, Mercedes-Benz performance driving events, and a bright and comfortable customer lounge with gourmet espresso, tea, baked goods, and WIFI. Our motto is "The Best or Nothing" and we strive to perfect every aspect of ownership with your Mercedes-Benz or smart car. This 2019 Cargo Sprinter's features include: Cargo Convenience Package, Rear Spring Vibration Absorbers, Roof Rack Mounting Rails, High Roof, Rear View Camera, Cargo Partition, Rear Step, Multifunction Steering Wheel, Four Master Keys, Blind Spot Assist, Cruise Control, Twin Front Passenger Seats, LED Cargo Area Lighting, 12V Power Outlet in Cargo Compartment, Sliding Side Door, and much more! _________________________________________________________________________________ Discover just how much more you're capable of with the van engineered for smarter business. The Crosswind Assist system that measures and corrects for horizontal drift is now standard. With numerous Best in Class options including a low Total Cost of Ownership, this Sprinter is the vehicle that will not only be the best to drive, but will save you money. _________________________________________________________________________________ Three Point Motors Victoria is your authorized Mercedes-Benz and Smart dealer for Southern Vancouver Island, home to the most captivating automobiles on the market. Whether you are searching for a New or Pre-Owned vehicle or wanting to get your current vehicle serviced, we pride ourselves in outstanding customer service and exceptional experiences. We will offer you the best finance and lease rates, a complimentary car wash once a month, Mercedes-Benz performance driving events, and a bright and comfortable customer lounge with gourmet espresso, tea, baked goods, and WIFI. Our motto is "The Best or Nothing" and we strive to perfect every aspect of ownership with your Mercedes-Benz or smart car. This 2019 Cargo Sprinter's features include: Comfort Package, Heavy-Duty Cargo Protection Package, Comfort Seats, Heater Booster, Full Partition, Cargo Straps & Lashing Rails, Rear Step, Rearview Camera, Keyless Entry, Multifunction Steering Wheel, Illuminated Exits, Air Conditioning, Cruise Control, and more! _________________________________________________________________________________ Discover just how much more you're capable of with the van engineered for smarter business. The Crosswind Assist system that measures and corrects for horizontal drift is now standard. With numerous Best in Class options including Total Cost of Ownership, this Sprinter is the vehicle that will not only be the best to drive, but will save you money. _________________________________________________________________________________ Three Point Motors Victoria is your authorized Mercedes-Benz and Smart dealer for Southern Vancouver Island, home to the most captivating automobiles on the market. Whether you are searching for a New or Pre-Owned vehicle or wanting to get your current vehicle serviced, we pride ourselves in outstanding customer service and exceptional experiences. We will offer you the best finance and lease rates, a complimentary car wash once a month, Mercedes-Benz performance driving events, and a bright and comfortable customer lounge with gourmet espresso, tea, baked goods, and WIFI. Our motto is "The Best or Nothing" and we strive to perfect every aspect of ownership with your Mercedes-Benz or smart car. This 2019 Cargo Sprinter's features include: Long Wheel Base, High Roof, Hill Start Assist, 7-Pole Trailer Plug Socket, Reversing Camera, Crosswind Assist, Right Side Sliding Door, and much more! _________________________________________________________________________________ Discover just how much more you're capable of with the van engineered for smarter business. The Crosswind Assist system that measures and corrects for horizontal drift is now standard. With numerous Best in Class options including a low Total Cost of Ownership, this Sprinter is the vehicle that will not only be the best to drive, but will save you money. _________________________________________________________________________________ Three Point Motors Victoria is your authorized Mercedes-Benz and Smart dealer for Southern Vancouver Island, home to the most captivating automobiles on the market. Whether you are searching for a New or Pre-Owned vehicle or wanting to get your current vehicle serviced, we pride ourselves in outstanding customer service and exceptional experiences. We will offer you the best finance and lease rates, a complimentary car wash once a month, Mercedes-Benz performance driving events, and a bright and comfortable customer lounge with gourmet espresso, tea, baked goods, and WIFI. Our motto is "The Best or Nothing" and we strive to perfect every aspect of ownership with your Mercedes-Benz or smart car. This 2019 Cargo Sprinter's features include: Driver Convenience Package, Csrgo Convenience Package, Bench Seat Package, High Roof, Rear View Camera, Cargo Partition, Rear Step, Multifunction Steering Wheel, Four Master Keys, Blind Spot Assist, Cruise Control, Twin Front Passenger Seats, LED Cargo Area Lighting, 12V Power Outlet in Cargo Compartment, Sliding Side Door, and much more! _________________________________________________________________________________ Discover just how much more you're capable of with the van engineered for smarter business. The Crosswind Assist system that measures and corrects for horizontal drift is now standard. With numerous Best in Class options including a low Total Cost of Ownership, this Sprinter is the vehicle that will not only be the best to drive, but will save you money. _________________________________________________________________________________ Three Point Motors Victoria is your authorized Mercedes-Benz and Smart dealer for Southern Vancouver Island, home to the most captivating automobiles on the market. Whether you are searching for a New or Pre-Owned vehicle or wanting to get your current vehicle serviced, we pride ourselves in outstanding customer service and exceptional experiences. We will offer you the best finance and lease rates, a complimentary car wash once a month, Mercedes-Benz performance driving events, and a bright and comfortable customer lounge with gourmet espresso, tea, baked goods, and WIFI. Our motto is "The Best or Nothing" and we strive to perfect every aspect of ownership with your Mercedes-Benz or smart car. This 2019 Cargo Sprinter's features include: Premium Package, Bench Seat Package, Cargo Convenience Package, Driver Convenience Package, Acoustic Package, Cargo Partition, Navigation, Hardboard Sidewall Paneling, Wood Floor w/ D-Rings, Rear Step, Rearview Camera, Active Braking Assist, 7-inch Touchscreen, Active Lane Keeping Assist, Twin Front Passenger Seats, Multifunction Steering Wheel, Roof Rack Mounting Rails, Navigation, High Roof, Rear Spring Vibration Dampers, Air Conditioning, Cruise Control, Black Painted Steel Rims, and more! _________________________________________________________________________________ Discover just how much more you're capable of with the van engineered for smarter business. The Crosswind Assist system that measures and corrects for horizontal drift is now standard. With numerous Best in Class options including Total Cost of Ownership, this Sprinter is the vehicle that will not only be the best to drive, but will save you money. _________________________________________________________________________________ Three Point Motors Victoria is your authorized Mercedes-Benz and Smart dealer for Southern Vancouver Island, home to the most captivating automobiles on the market. Whether you are searching for a New or Pre-Owned vehicle or wanting to get your current vehicle serviced, we pride ourselves in outstanding customer service and exceptional experiences. We will offer you the best finance and lease rates, a complimentary car wash once a month, Mercedes-Benz performance driving events, and a bright and comfortable customer lounge with gourmet espresso, tea, baked goods, and WIFI. Our motto is "The Best or Nothing" and we strive to perfect every aspect of ownership with your Mercedes-Benz or smart car. This 2019 Cargo Sprinter's features include: Premium Package, Cargo Convenience Package, Driver Convenience Package, Acoustic Package, Navigation, Cargo Partition, Rear Step, Rearview Camera, Active Lane Keeping Assist, 7 inch Touchscreen, Active Braking Assist, Driver Cabin Coathooks, 7-inch Touchscreen, Multifunction Steering Wheel, Roof Rack Mounting Rails, High Roof, Rear Spring Vibration Dampers, Air Conditioning, Cruise Control, Black Painted Steel Rims, and more! _________________________________________________________________________________ Discover just how much more you're capable of with the van engineered for smarter business. The Crosswind Assist system that measures and corrects for horizontal drift is now standard. With numerous Best in Class options including Total Cost of Ownership, this Sprinter is the vehicle that will not only be the best to drive, but will save you money. _________________________________________________________________________________ Three Point Motors Victoria is your authorized Mercedes-Benz and Smart dealer for Southern Vancouver Island, home to the most captivating automobiles on the market. Whether you are searching for a New or Pre-Owned vehicle or wanting to get your current vehicle serviced, we pride ourselves in outstanding customer service and exceptional experiences. We will offer you the best finance and lease rates, a complimentary car wash once a month, Mercedes-Benz performance driving events, and a bright and comfortable customer lounge with gourmet espresso, tea, baked goods, and WIFI. Our motto is "The Best or Nothing" and we strive to perfect every aspect of ownership with your Mercedes-Benz or smart car. This 2019 Cargo Sprinter's features include: Premium Package, Cargo Convenience Package, Driver Convenience Package, Comfort Package, Cargo Partition, Rear Step, Rearview Camera, Dirver Cabin Coathooks, Active Braking Assist, Active Lane Keeping Assist, 7-inch Touchscreen, Multifunction Steering Wheel, Roof Rack Mounting Rails, Navigation, High Roof, Rear Spring Vibration Dampers, Air Conditioning, Cruise Control, Black Painted Steel Rims, and more! _________________________________________________________________________________ Discover just how much more you're capable of with the van engineered for smarter business. The Crosswind Assist system that measures and corrects for horizontal drift is now standard. With numerous Best in Class options including Total Cost of Ownership, this Sprinter is the vehicle that will not only be the best to drive, but will save you money. _________________________________________________________________________________ Three Point Motors Victoria is your authorized Mercedes-Benz and Smart dealer for Southern Vancouver Island, home to the most captivating automobiles on the market. Whether you are searching for a New or Pre-Owned vehicle or wanting to get your current vehicle serviced, we pride ourselves in outstanding customer service and exceptional experiences. We will offer you the best finance and lease rates, a complimentary car wash once a month, Mercedes-Benz performance driving events, and a bright and comfortable customer lounge with gourmet espresso, tea, baked goods, and WIFI. Our motto is "The Best or Nothing" and we strive to perfect every aspect of ownership with your Mercedes-Benz or smart car.